The Oroville Union High School District has extended the invitation for all middle and high school students throughout Butte County to attend the 4th Annual OUHSD College Fair on Wednesday, October 3 from 5-7 in the Las Plumas High School east gym. Currently, there will be 34 representatives from various colleges and universities that will be attending . 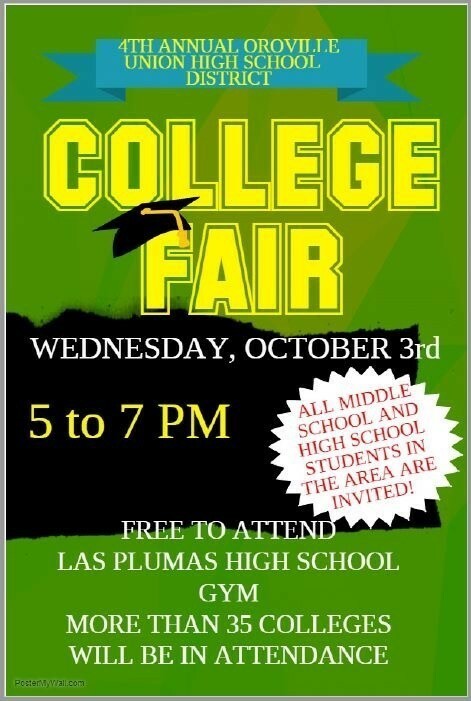 This is one of the closest college fairs for our Butte County students that occurs after school hours.